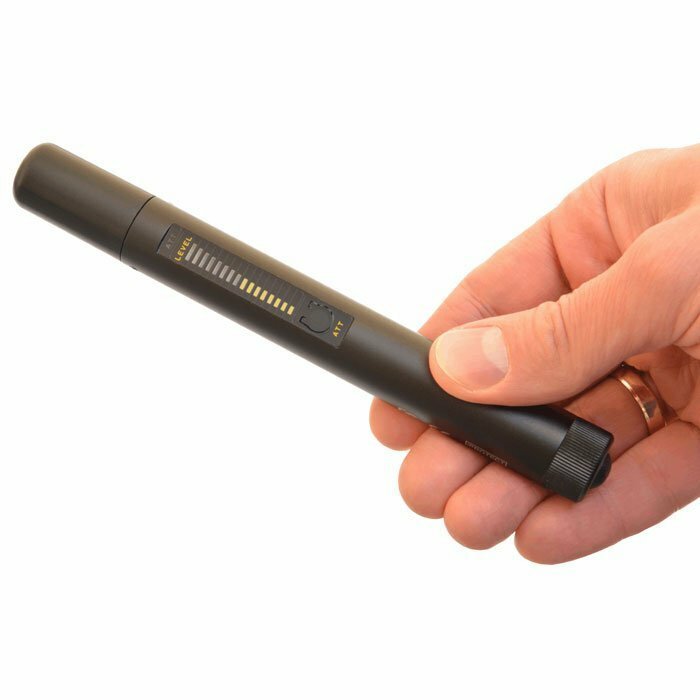 UPGRADED to 8GHz- The iProtect RF detection wand, easily fits in user hand to conceal action while sweeping for bugs of different types. Perfect fit for both professional and novice users, simple to use, and allows operator to locate the source. 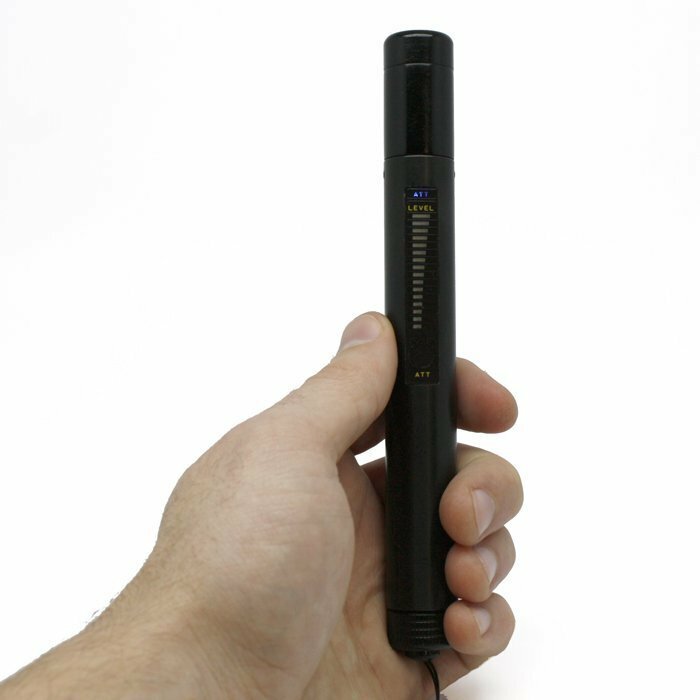 Keep your conversations to yourself with the RF Detector wand. New and Improved Now Detects Up To 8GHz Which Make This The Perfect gadget to protect your conversations! Sweep the bugs under the rug! 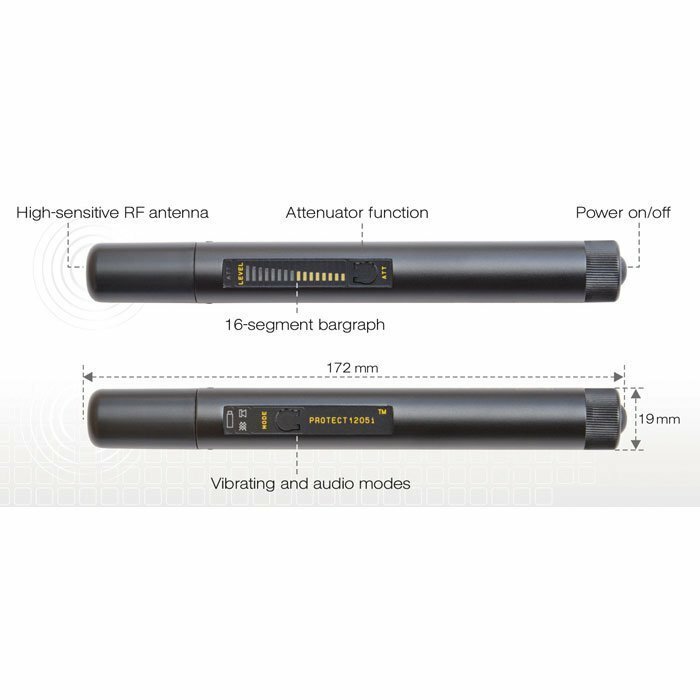 Easy and quick detection of RF bugs of different types, including VHF/UHF transmitters, GSM/3G bugs, wireless video cameras, Wi-Fi audio and video transmitters, vehicle transmitters, body-carried transmitters, etc.